There are a great number of details that must be attended to when setting up funeral arrangements. Unless someone plans ahead, these responsibilities are usually left to a trusted individual, or to multiple members of the deceased's family. 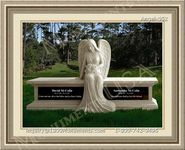 Composing a fitting epitaph is just one of the many tasks that will need to be handled. 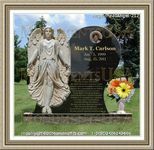 Practically every commemorative plaque or stone will bear information identifying the person. In the very least, this includes their name and typically a date for their birth and their death. While some opt to leave it at that, others choose to also add something extra like a sentiment, statement or further details about their life. Some individuals choose to write their own inscription prior to their death. 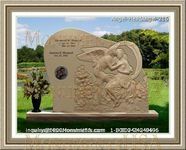 This allows them to ensure that they get exactly what they want on their stone and gives them the freedom to be creative. Those with a keen sense of humor often take this opportunity to make a witty final remark or write an entertaining remark that will bring smiles to visitors for years to come. Others may take this opportunity to provide a last bit of sage advice to all who visit their stone. This may be a suggestion to live life fully or any other lesson they might have learned while alive. There are no real rules when it comes to what one can have inscribed on their grave marker.